Do you want to save thousands of dollars without drastically changing your lifestyle? Take a look at your discretionary spending—that’s the money you spend on non-essential items. Small changes can make a huge difference. The Federal Government’s MoneySmart website reports that Australians spend more than $642 billion a year on living expenses or around $69,000 per household. A significant chunk of that is on non-essential expenses—things like alcohol, recreation, gadgets and fashion. Until they start budgeting, people often don’t realise how much money they really spend on discretionary items. A daily $4 coffee, for example, will set you back nearly $1500 a year — money which could be spent on, say, a holiday. Of course, what might be discretionary to one person is essential to another. That’s the beauty of budgeting—it allows you to see exactly where your money is going and ensure that your top priorities are affordable. The great thing about trimming your discretionary spending is that you can potentially save thousands a year without significantly changing your lifestyle. 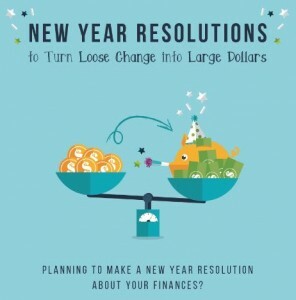 What non-essential expenses will you cut back on in 2015? Wishing you a safe and prosperous New Year! May all your resolutions come true!